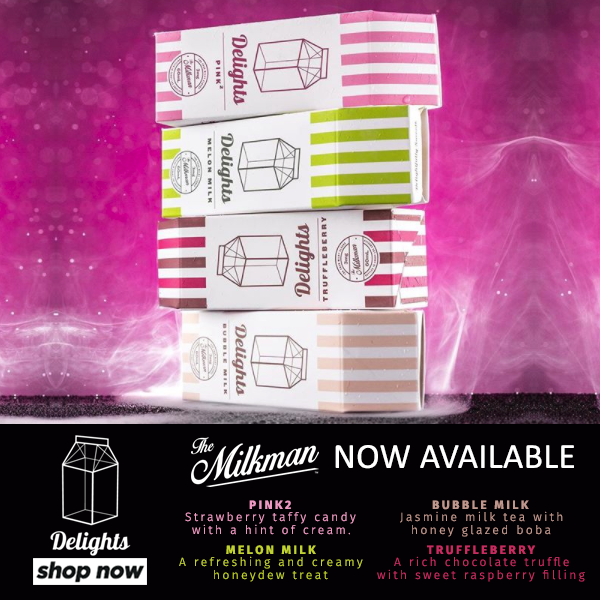 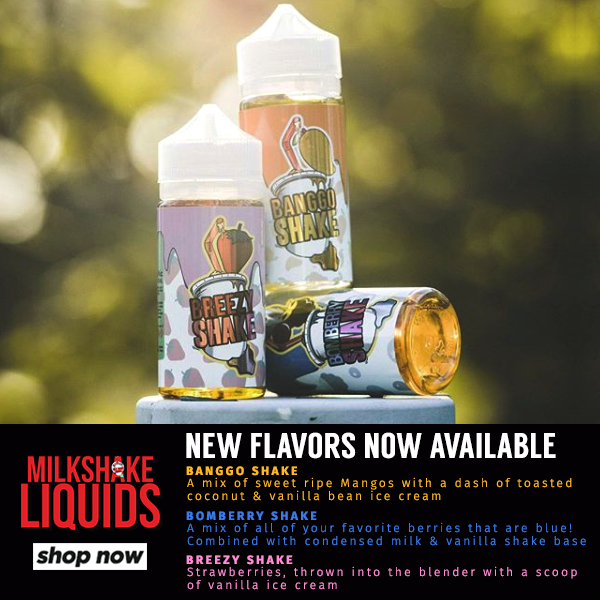 Veteran's Day E-liquid Sale Thru 11/12! 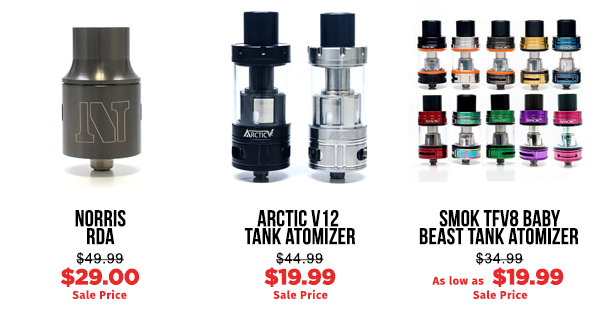 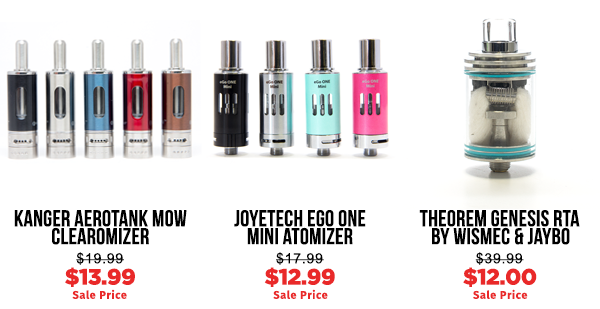 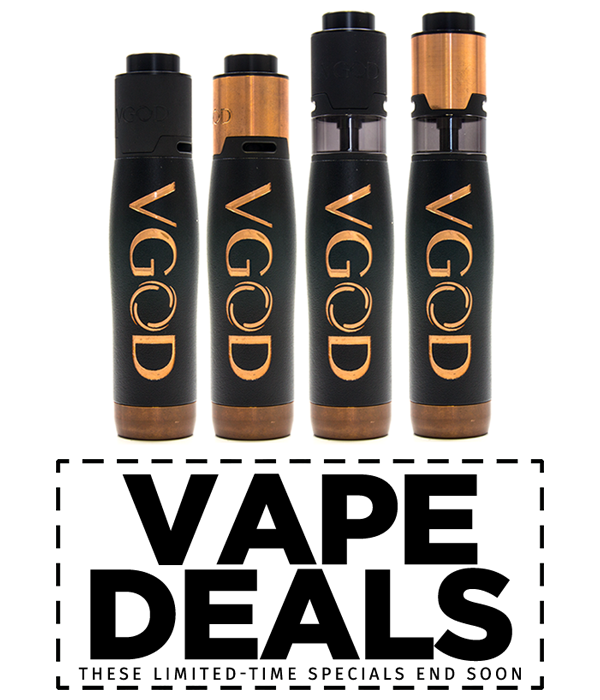 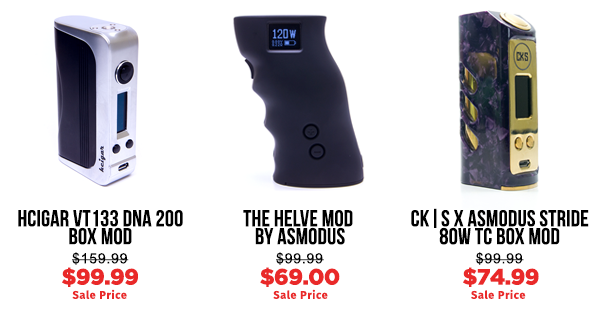 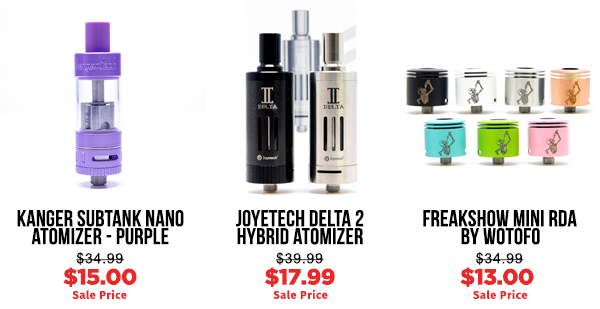 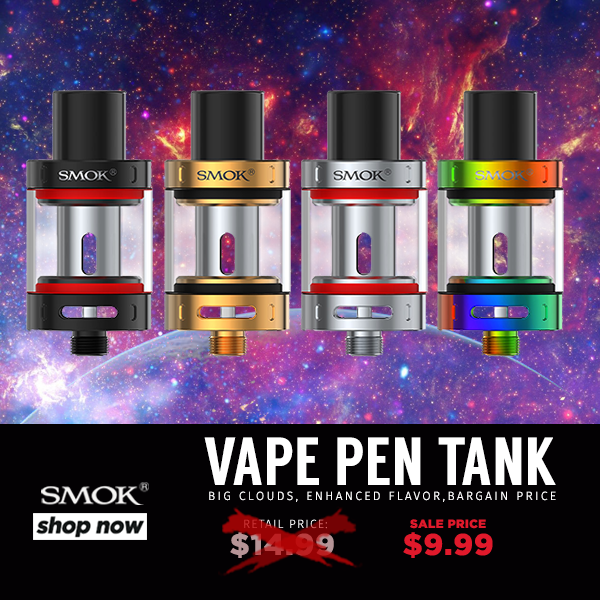 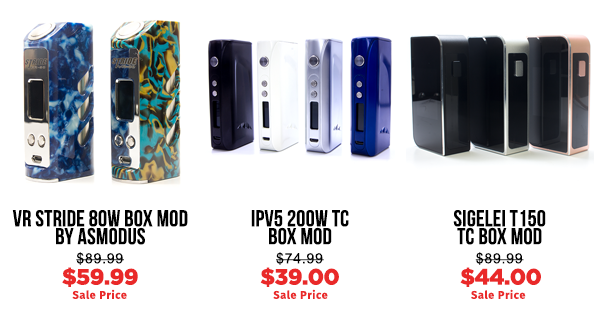 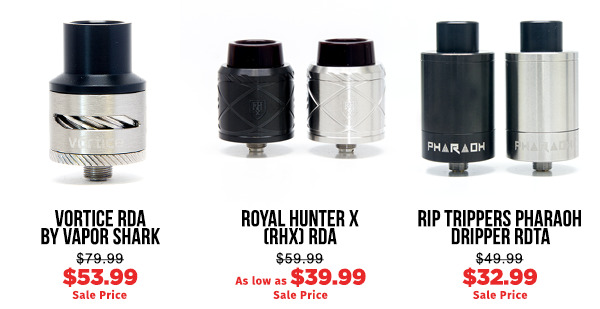 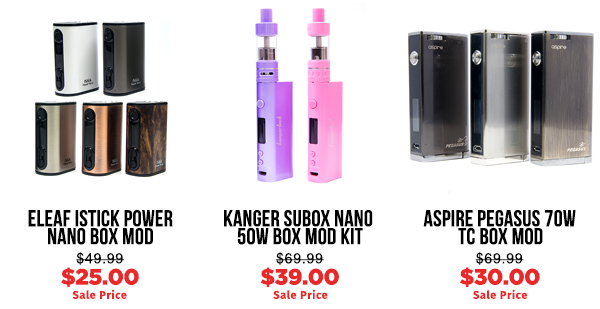 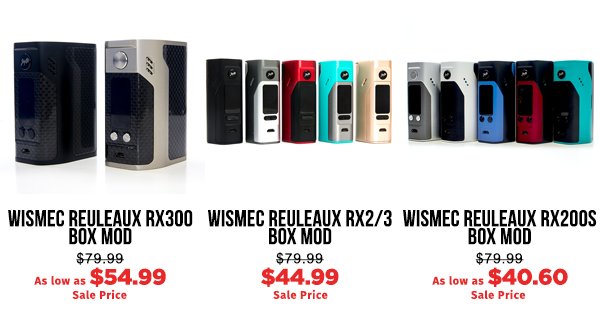 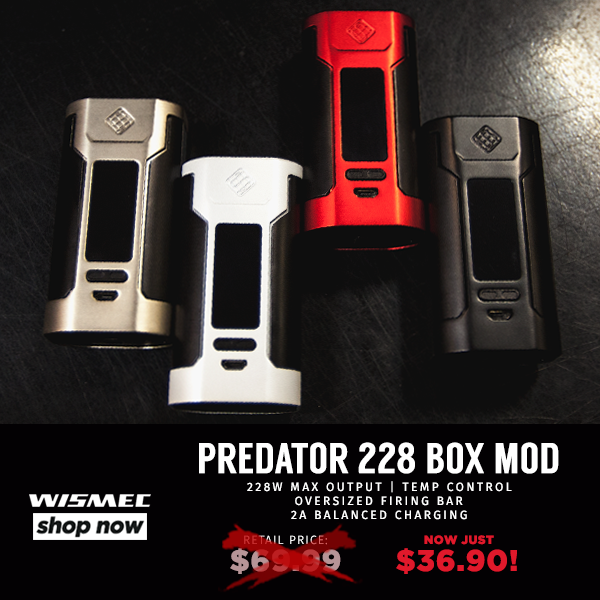 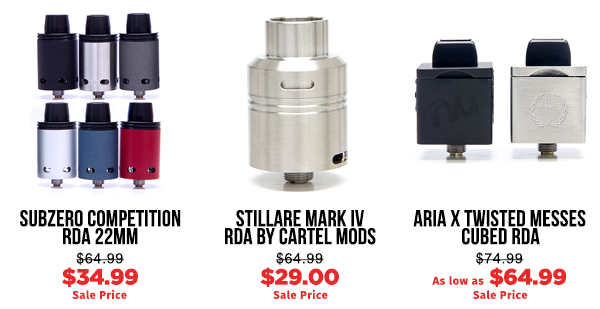 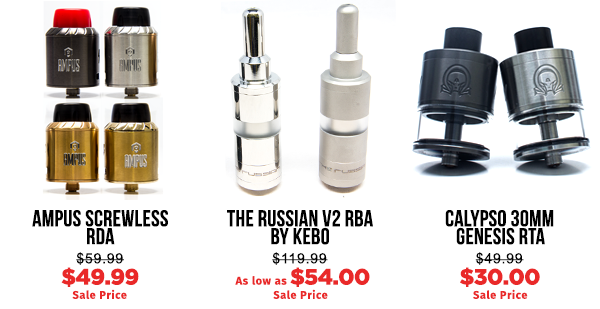 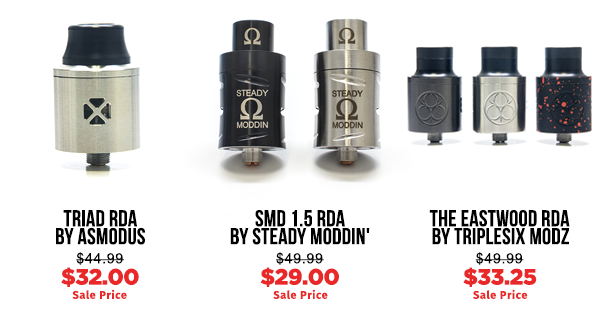 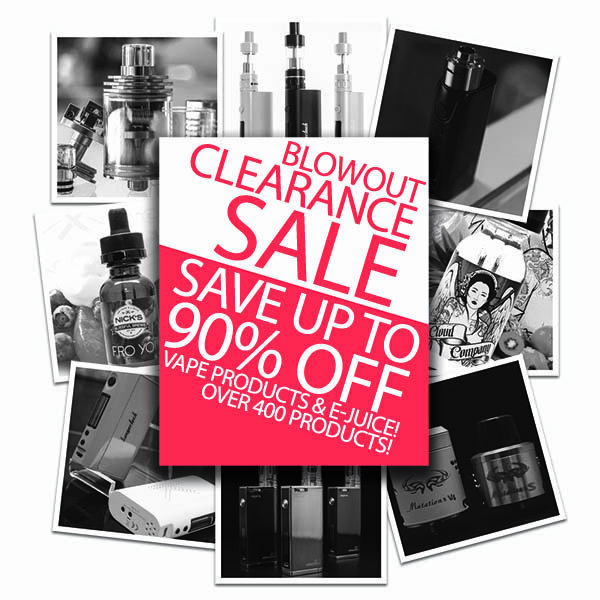 Plus New Low Pricing On Vape Hardware! 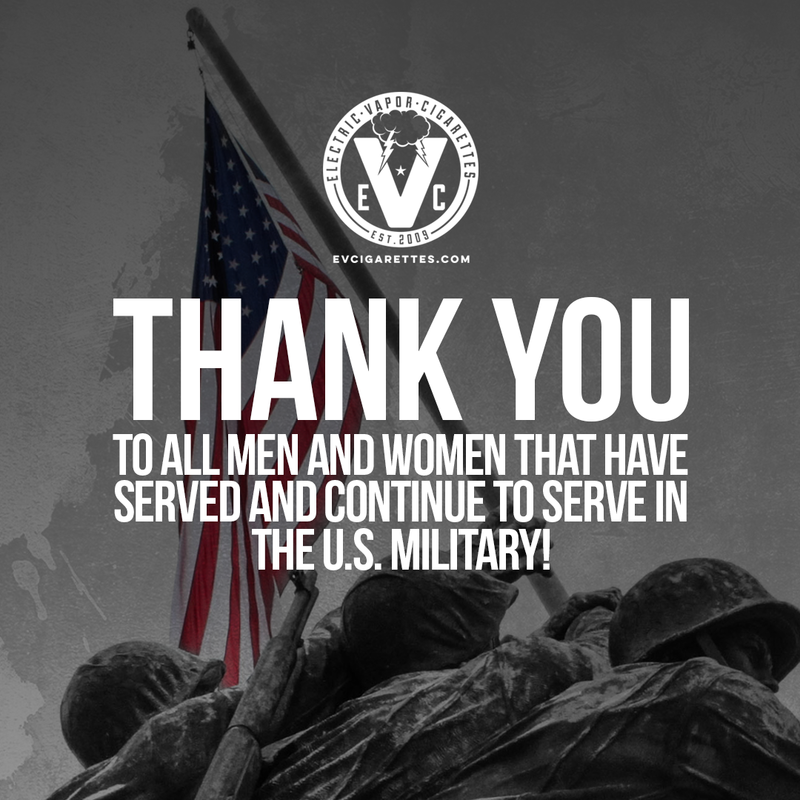 In honor of the upcoming Veteran's Day, we at EVCigarettes want to say a big THANK YOU to both the heroic men and women who dedicated their lives to keeping our country safe in the past as well as those who continue to do so! 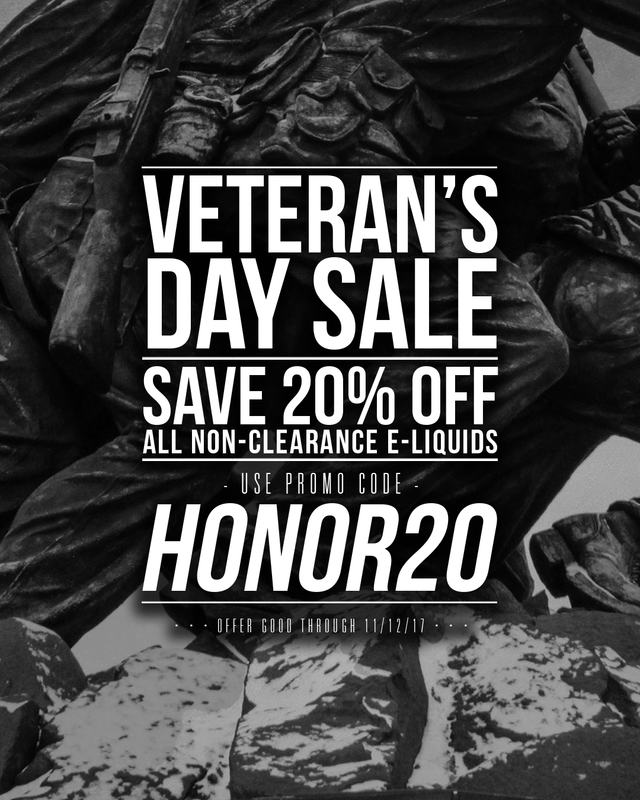 And to show our far-reaching appreciation for our military personnel and their families, we want to offer everyone 20% off any non-clearance e-liquid! 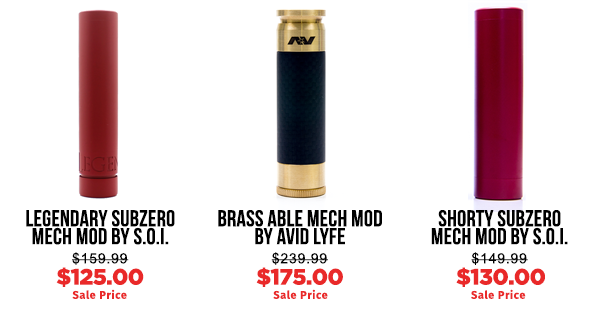 Read on to learn even more about our Veteran's Day sale and all the other steals we added on clearance! 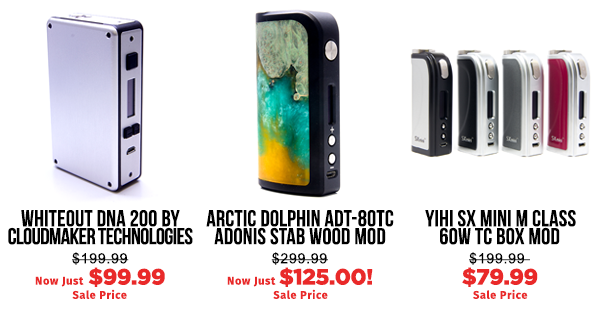 And if you'd like to receive future issues of our EVC Sale Newsletter delivered directly to your inbox, sign up using the sign-up fields at the bottom of the page to access all the exclusive flash deals and discounts we hold every week! 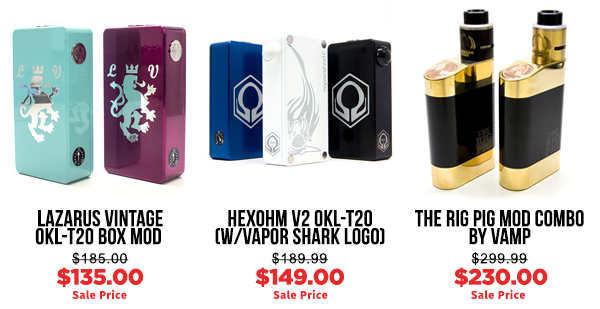 Copyright © 2017 EVCigarettes.com, All rights reserved.